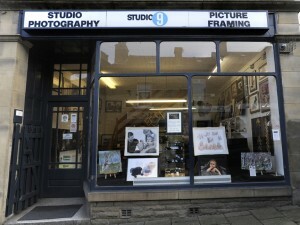 Here at Studio we provide so much more than just portrait photography and basic framing. We’re always open to any request, so why not throw us a challenge ? We love photographing weddings and enjoy being a part of the whole celebration. Our all female team relishes getting involved with the little details, but equally knows when to step back. Capturing the day the way you want is what we’re all about. 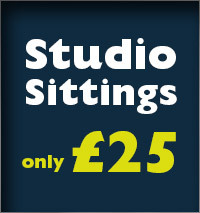 Our studio shoots are suitable for single person portraits, large family groups, pets – in fact anything really. We provide a relaxed welcoming environment which we think reflects in our results. 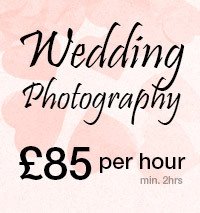 At only £25.00 a session with realistic print prices we’re worth giving a go. 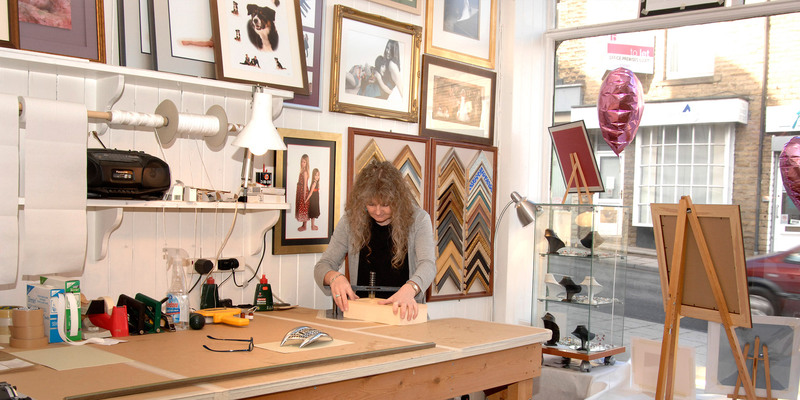 Our in house framing department goes from strength to strength as we gain more and more loyal customers. We really are passionate about bringing the most out of everything we’re presented with, whether it be an original oil painting, a footi shirt, or even a commando dagger ! Deb our head photographer took over the business in January 2008. Having studied art and design alongside photography she tries to incorporate a creative edge into her work as often as she can. 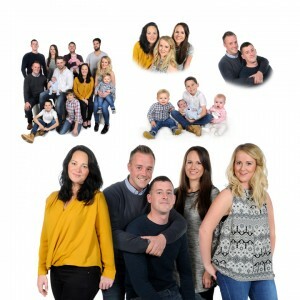 Her individually designed photo montage service is one way we can offer our customers a truly unique piece of art, whilst still capturing the moment with the camera. Established for over 20 years, we are part of the Elland landscape. Our quirky but welcoming premises reflect the nature of our business. A bit of a tardis, from the outside our frontage shares half with the shop next door, but upstairs we command the whole of the top floor. This is where our photography studio is situated and also our soon to be opened art gallery which we’re extremely excited about.